Hyunjin Lee, COO of Boomsourcing, and Dr. Amy Osmond Cook, CMO of Simplus, sit down to talk about the human capital side of growing revenue that up and coming tech companies often overlook. COOK: How do you work with partners to help them grow their pipeline? LEE: When we engage, we really want to understand what their cost per lead goals are. Then from there, we set up realist goals on how they can obtain those while using our SDR resources and going in and delivering those metrics for them. COOK: What are SDR resources? Can you give some examples? LEE: SDR is sales development representative. We provide these hungry, entrepreneur kinds of individuals to go in, make appointments, and start building ideal customer profiles for our clients. That’s primarily what we do. COOK: So a lot of calling campaigns? LEE: Yes, calling, emailing, LinkedIn—anything we can add a personalized touch. COOK: How many companies are you working with just in Silicon Slopes? LEE: About 20 or so just here in Silicon Slopes, but many more abroad. Their biggest struggle is finding the right human capital to do the right thing. That’s where we come in. COOK: I definitely think that’s an element that’s missing in a lot of the tech companies today because they start with the notion that technology can fix all of our problems, but we forget about the human capital side of things. And customers want to be able to talk to someone, connect with someone. At Simplus, one thing we do is Live Chat. And often we’ll get people asking, “Hey, are you a real person?” And we’re proud to say, “Yes, we sure are.” What is a really big mistake that some companies make, especially tech companies? LEE: Great question. I’ve worked with many tech companies with some awesome talent, and they’re all a little different, as you know. When companies take on funding a little too early all too often they can start to lose culture and bleed talent. One of the reasons I joined Boomsourcing is because they were organically grown. And they focused on culture and scalability in an organic way. COOK: You mentioned scalability, which is one of the main reasons our listeners are tuning into this podcast. 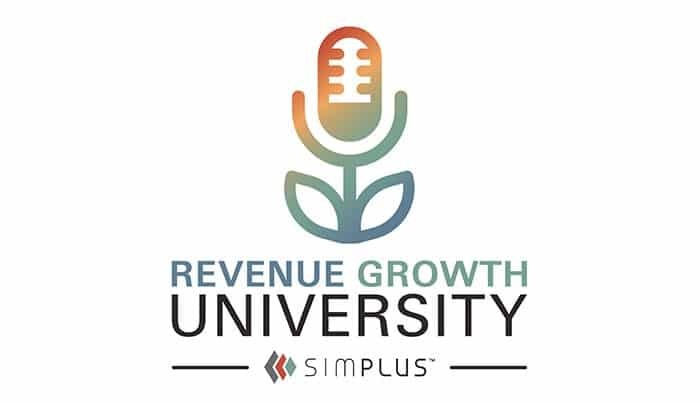 We all want to grow our revenue. We all want to be able to scale. What are some tips you have for people looking to scale? To hear the tips and listen to the full podcast, click here.